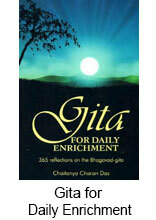 The book Gita for Daily Enrichment is intelligently presented in a way that unravels the deep spiritual and philosophical knowledge of the Bhagavad-Gita in a direct, easy-to-understand way, highlightingpractical wisdom and spiritual principles which can be easily understood and applied in one’s day-to-day life. 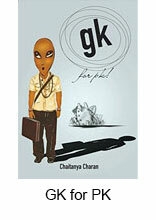 Using analogies that convey a particular meaning, the message is brought easily to our doorstep. 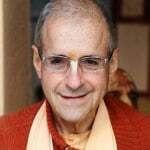 An expert teacher is one who can teach the same message to all levels of intelligence and age. 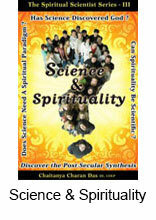 Chaitanya Charan teaches the highest wisdom in a very simple way nicely unlocking the message for all to understand. 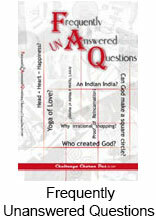 He has done a brilliant job in presenting relevant messages of the Gita for all. To say that Recession is well-written would be an understatement. 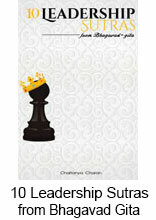 The vibrant examples from both modern and traditional contexts, the memorable quotes, the lucid language, the smooth transitions from one theme to another, the nonjudgmental tone throughout, the summary acronym WEALTH at the end – all these make Recession highly accessible and applicable. With the acceleration of the pace of our lives and with the decline of the culture of reading, especially among the youth, the small size of this book is also a great advantage. The three-point prescription “Simplify, Clarify and Purify” is like its mantra – brief, clear, healing, practical, universal, empowering. 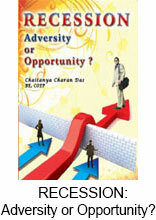 I hope that Recession will be widely read, discussed and applied.